A day out in the mall ends up being the ideal plan for a lot of us. 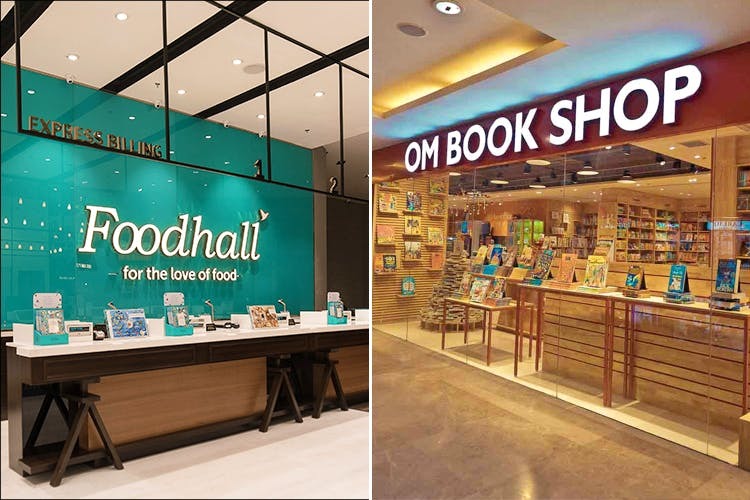 We keep going back to DLF Place, Saket, and here are the restaurants and stores that are responsible for it. Basics, prints, and all things millennial—Forever 21 has our hearts when it comes to some good ol’ retail therapy. How do you expect anyone to not dream of Penne Vodka pasta and Mississippi Mudpie when Big Chill’s in close proximity? A trip to the mall is always incomplete without a visit here. Great linen shirts for guys, awesome workwear for girls, non-skinny jeans (the kind you don’t find anywhere anymore)—M&S is that reliable store you can walk into with eyes closed and make quality buys that are built to last. Big shopping day out? Munching on tacos, burritos, and margaritas at Chili’s is probably the best way to tie it all up. Go for the Texas Spicy Chili Wings to set your tastebuds ablaze (in a good way, of course). From hors d’oeuvres to sushi and signature cakes, Foodhall is the one-stop grocery store where you don’t just get food supplies but some delicious ready-to-eat meals as well. You’ll probably end up spending a while (and a whole lot of your salary) here. Call it a cheat meal or a guilty pleasure, the classic Cinnabon roll is what sweet dreams are made of. Their pepperoni pretzel keeps us coming back, too—you’re surely going back for seconds, take our word for it. Every time we’re in the mood for some amazing rock music, the gigs at Hard Rock Cafe rise to the the challenge. It’s a classic bar with some of the best burgers we’ve had. From cooking and classics to bestsellers and self-help, this book store in no less than a library (even better than some actual libraries) when it comes to finding your next read. They’ve even got quirky stationery for you to hoard. Gourmet pizza, here we come! Amici’s got a piri piri veg pizza that’s to die for. Pair that with a cappuccino and end your mall day right. It’s the go-to brand for make-up and a lot of Delhi girls will agree. If your sole purpose is to restock your make-up supply, you know where to go.